For Bill taking photographs is a lifestyle and a passion. One can see it in his work. 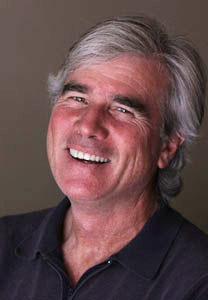 Bill has been a photojournalist for over twenty-five years. He was a staff photographer for the North County Times in San Diego for more than twenty of those years. He has also worked for the U-T San Diego newspaper, Getty Images, and the Associated Press and his photos have been widely distributed by these and other news organizations. He is now a freelance photographer based in San Diego accepting a wide variety of documentary, commercial, portrait, event and wedding photography. As a student of photography at the University of New Mexico Bill was drawn to the open landscape of the Southwest and his work reflected it’s mysterious vastness. He was also intrigued with the idea of using photography as a tool to document and communicate ideas, social diversities and current events, which has propelled him through his career in newspaper work. Bill has photographed everything from wildfires to crime scenes, children learning to Marines in training, homeless people on the streets to presidents making official visits. During his free time Bill has enjoyed photographing the beautiful San Diego coastline and has traveled to Hawaii, Cuba, Haiti, Thailand, Cambodia and Kenya where he has captured the diverse cultural and natural beauty. His book San Diego Impressions was released by Farcountry Press in 2004 and can be found in Barnes and Noble bookstores in San Diego and through Amazon. Bill gradually moved to the West coast from his hometown of Northport, New York and currently resides in San Diego with his wife, Michèle.